Strawberry Lemon Sangria – all the best flavors of summer in a refreshing glass – the perfect way to beat the heat! Well…..summer is officially half over, and I have officially come to the conclusion that whoever decided to call it “summer break” was DEFINITELY not a mom! Ever since the very first day of “break” we have had at least one scheduled activity daily…and sometimes two or three! I know, I know….it’s my fault for trying to fit so much in….but I just couldn’t pass up all the awesome summer park & rec opportunities! We have taken tennis and gymnastics lessons, day camp and sports camp, and just this week the girls started an art class. And the best part of all? The amazingly low prices! How could I NOT sign them up for everything!? Okay….if I’m being totally honest, the low prices and desire to give my kids fun summer experiences may not be the ONLY reason I decided to schedule our summer like crazy. The other (real) reason may have had more to do with the way my kids act when we’re home all day, every day together……(a little bit like MONSTERS!!) And you know what? I blame it on school! I know that might sound crazy, but I really (sort of) do! I think that once they start school, they get so used to having every minute scheduled for them that they can’t figure out what to do with themselves once they’re on their own! Maybe it’s just my kids…. (let’s hope not)….but some days, doing nothing with them at home all day is MORE exhausting than running around with them! And every now and then, when moods are just right and everyone seems to have woken up on the wrong side of the bed, I would say that being home with them all day actually feels torturous…. (only a slight exaggeration)! The good news is, when the days are long and the moods are right and the weather is HOT….there is always an end in sight. Bedtime can always come a little sooner, and as I like to say, tomorrow is always a new day. And…..in the meantime….there’s sangria! One of the best ways I know to get through those extra long days – structured or unstructured – of summer “break”! 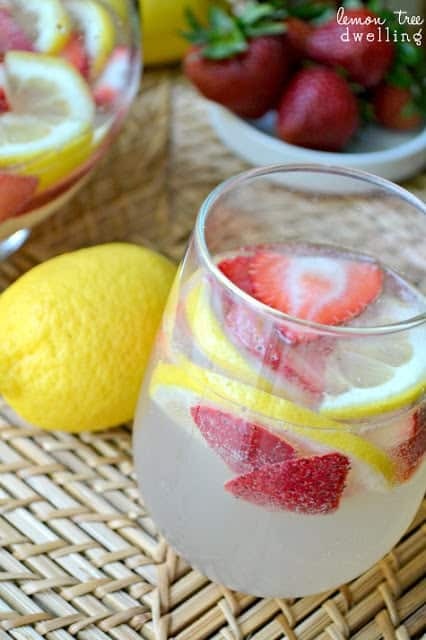 Combine sliced lemon and strawberries in medium pitcher. 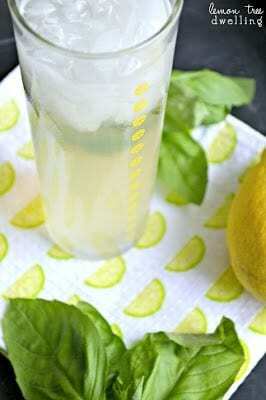 Add Pinot Grigio, lemonade, white rum, and sugar. Stir until sugar is dissoved. 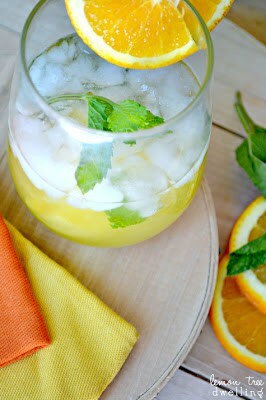 Pour into glasses and top each with a splash of club or white soda. 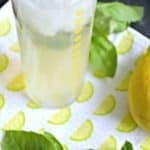 Here are a few other summer drinks you might enjoy! Thanks so much, Melissa! You really must try it….! I love this for the 90 plus degrees we are having this week! And, I feel your pain – we are RUNNING like mad but sometimes it’s better than listening to them fight! Ha! Love the singing, Jodi!! This sangria makes me sing, too….and there’s nothing better than having it with friends! Cathy, your summer sounds exactly like mine and I hate it! If we aren’t running around we are fighting. I have always wondered if over scheduling creates kids who cannot entertain themselves. But I know how to entertain myself-this sangria!! I wish I lived near you, happy hour would be at your house every Friday! I love lemonade, and this one is a beaut! I love how light and lemony it looks. I am hosting a mom’s sangria party this weekend, and I think I’m going to use your recipe instead of mine! Thanks! 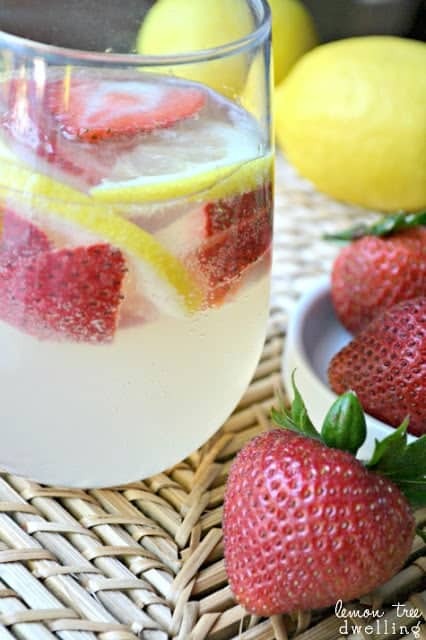 This looks really delicious and refreshing for a hot day! I can’t wait to try it! This sounds like a Sangria that I would be trying soon! Just pinned this to my “adult beverages” board – I LOVE sangria!! 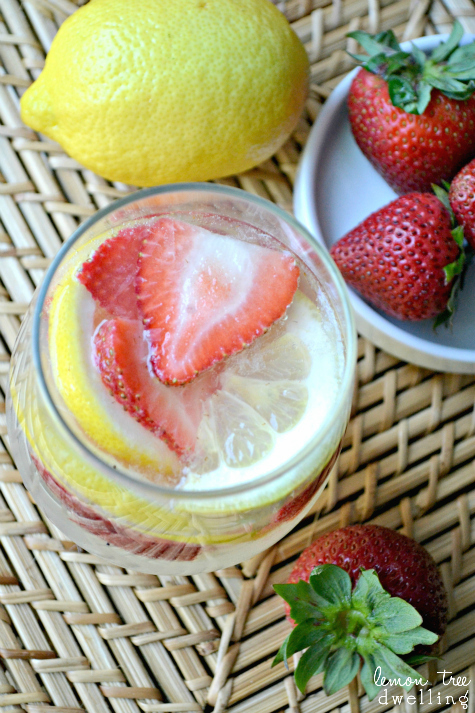 This one looks really yummy – and so light & refreshing, too! I can’t wait to try it – thanks for sharing! This looks amazing! Thanks for sharing =) I found your post on the Wonderful Wednesday Blog Hop! This looks like what an Arizona girl needs to get through monsoon season! Thanks for sharing. Oh Cathy! 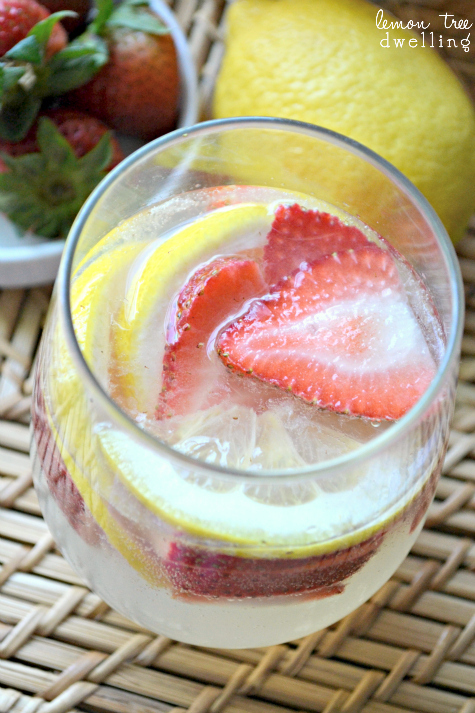 This looks like summer in a glass! Pinned! 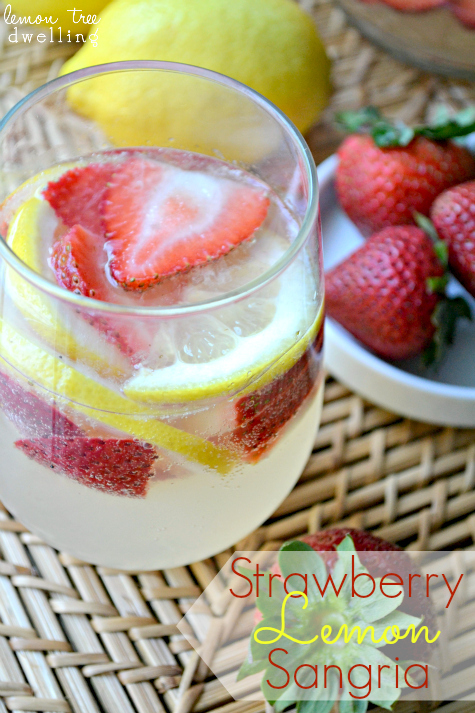 Oh I love Sangria – and this recipe looks SO GOOD! Saw you over at Wed Whatsits 😉 Had to come over! I made this for a weekend BBQ and it was a big hit! Zesty, sweet and deceptively alcoholic… All my favourite things! Thank you so much for this fab recipe. largest water park which should not be missed this summer.